This car could easily be a shelf display model, it looks that hot, and it's that well-detailed. Everything on the body is an exact duplicate of the real thing, down to the emblems, real chrome light buckets (with working lights! ), logo tires, reflective side view mirrors, and big exhaust muffler tip. This car comes with everything you need to run, so all you need to do is charge up the battery & go. I started out with the normal, treaded rubber tires to get a feel for the speed & agility of the car. It was good. The chassis is light and speed is pretty decent, and the steering is very responsive. Two forward speeds (normal and turbo) let you take really difficult, curvy courses with precision, while still getting the most out of long straightaways. I was anxious to get to the most exciting feature of the car, the drifting! The included tire changing tool lets you take the outer wheel sections off, then the tire slips right out. There's a locking mechanism that fits tires into place on the wheel hubs, and there's a difference that makes sure you can't put fronts on the rear or vice-versa. The drift tires are very hard and also have no tread, to make it easier to spin around. Well, sadly, when I actually started driving in drift mode, things didn't go so well. Instead of really drifting through corners, all it does is spin out, at best. Most of the time it just doesn't turn well, but if you slow down in a turn or tap reverse for just a fraction of a second, the back of the car fishtails all the way around and you can't control it. 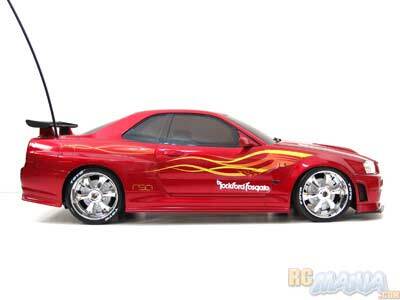 I've built and driven drift cars that work, and I've drifted full-size, real cars. I know how to drift. This car can't drift. 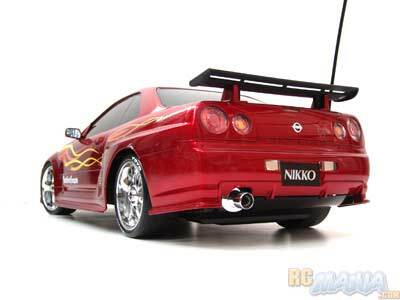 Nikko has made another good car here, and it's a good deal to come with all of the batteries you need, plus a charger. It also looks amazing, even sitting still. Speed is modest, but not too shabby, and it handles well with regular tires. However, a drifter it is not. 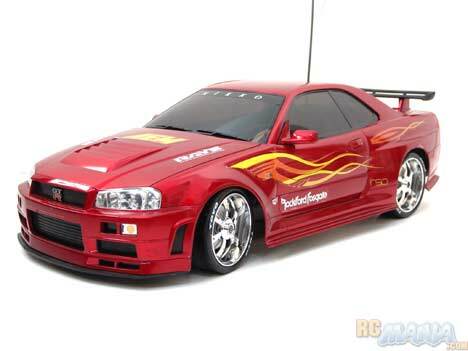 If you want to go drifting in 1/10th scale, this is definitely not the car for you. If you want a great-looking general-purpose street-driving RC car that doesn't cost a lot, you're in luck.